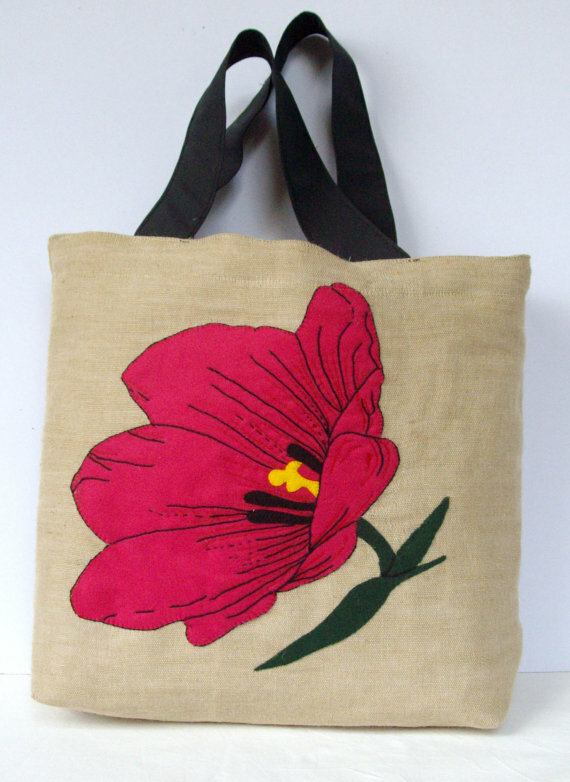 Unique Eco-friendly natural high quality linen jute bag with a large fuschia flower pattern. 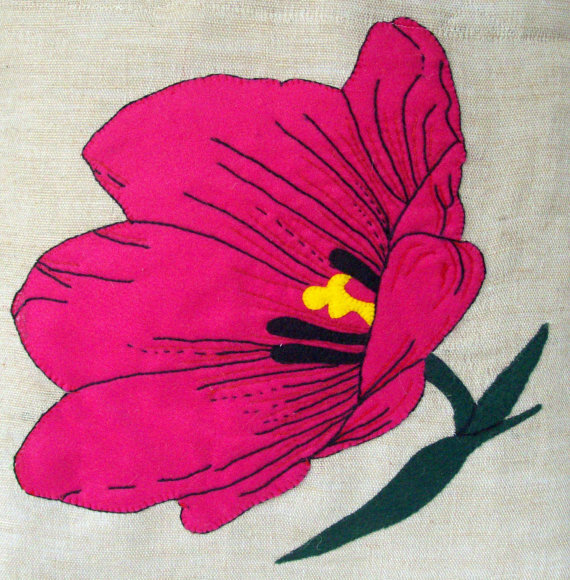 Appliqué pattern is made out of felt and are hand embroidered with embroidery floss. Each piece is hand embroidered and appliquéd. 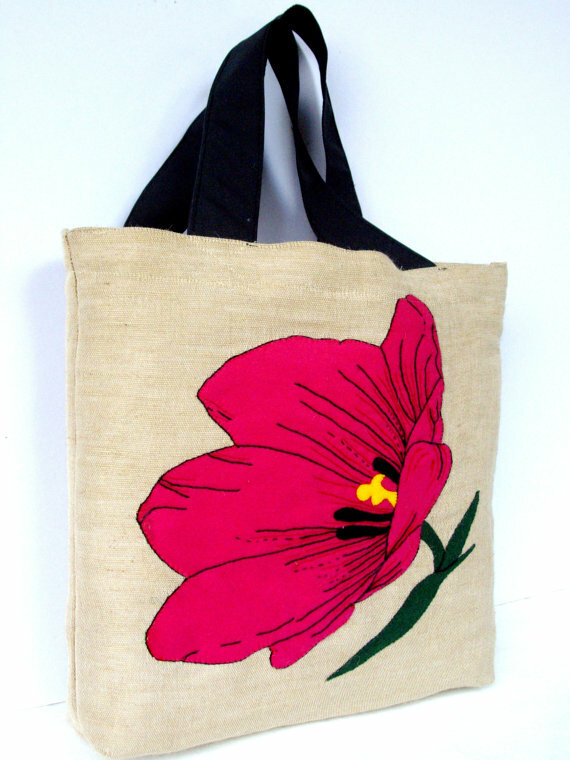 This bag in particular depicts a single large fuschia flower. Due to its large size and design combines comfort and elegance. It is really roomy, strong in order to carry books and magazines, laptops, clothes, your gym staff, diapers and all the necessary according to your needs. Thus, it is ideal not only for everyday use but also for overnights and week-ends! All pieces are exclusively handmade by me in my home studio in Athens without any assistance. 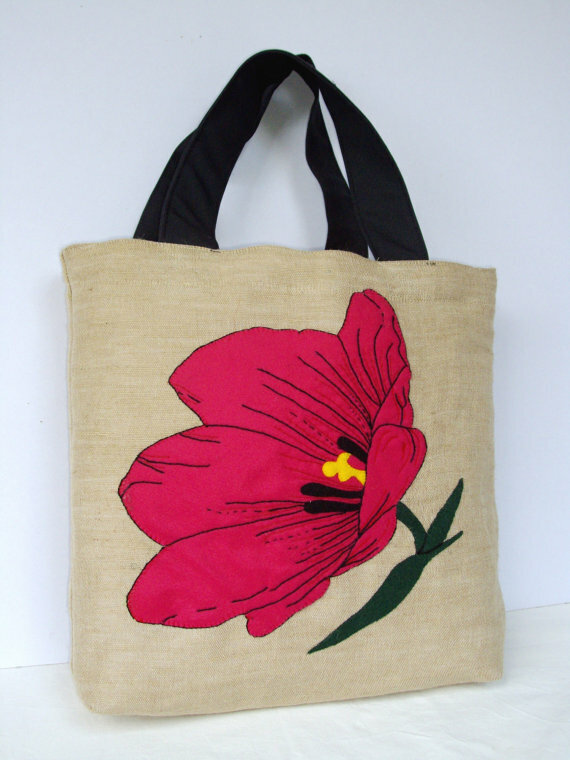 The bag is lined with strong cotton fabric and interfacing was used to give the bag some structure and stability, making it very sturdy. The handle strap is wide enough in order to be elegant but at the same time stable on your shoulder under all circumstances and not hurting your shoulder when you carry heavy staff.